Wherever the process pressure has to be indicated locally, and, at the same time, circuits are to be made or broken, the model 432.56 or 432.36 switchGAUGE can be used. 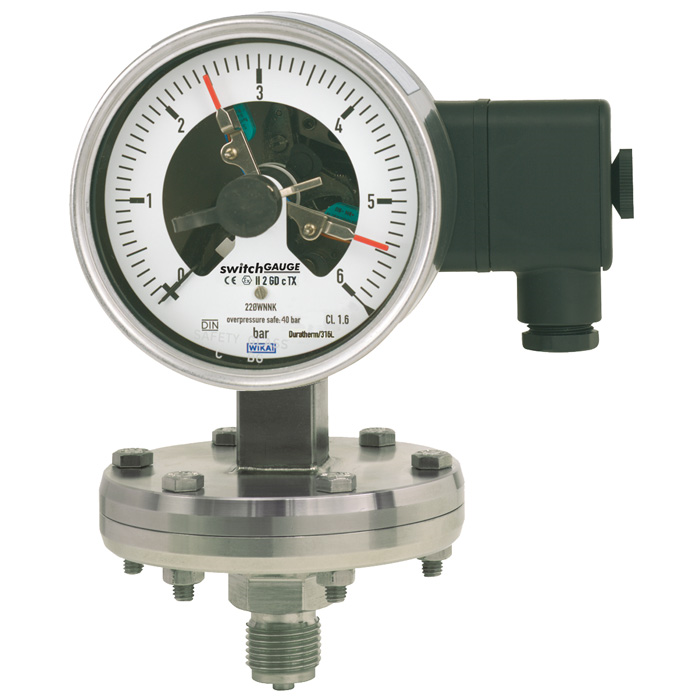 The pressure gauge is manufactured in accordance with DIN 16085 and fulfils all requirements of the relevant standards (EN 837-3) and regulations for the on-site display of the working pressure of pressure vessels. As switch contacts magnetic snap-action contacts, reed switches, inductive contacts - for requirements to ATEX - or electronic contacts for triggering a PLC are available. For further information on the different switch contacts please see data sheet AC 08.01.